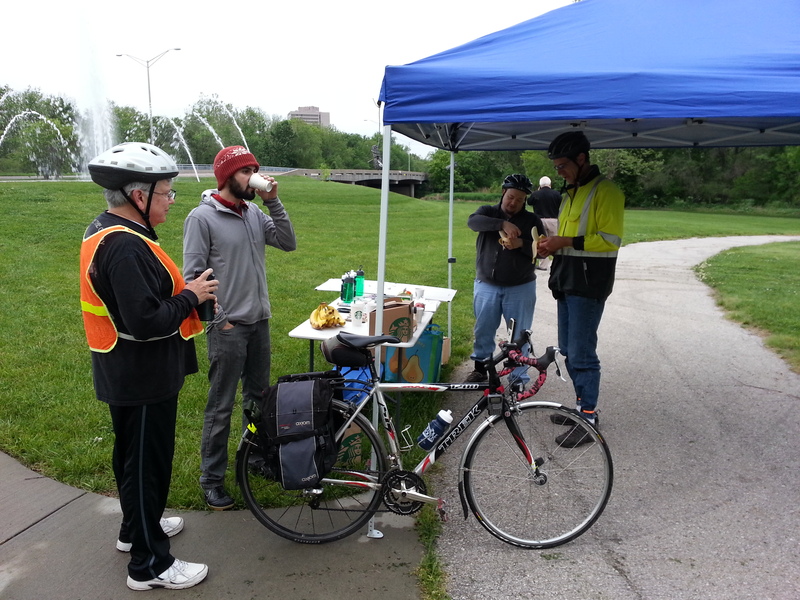 Overland Park will be hosting breakfast stops during Bike to Work Week, May 15th through May 19th. Each morning will be at a different location in Overland Park. Bicyclists can stop by between 6 am and 8 am for some juice, coffee, fruit, power bars and yogurt before heading off again. Our sponsors include BikeWalkKC, MARC, REI, Turner’s Cycling and Fitness, Velo+, and Whole Foods. Everyone that stops will be entered into a drawing at the end of the week for various items being donated including a couple of bike tune-ups. Whether you are on your way to work or just out for some morning exercise, stop by to refuel and see what is happening in OP with the implementation of their bicycle master plan.